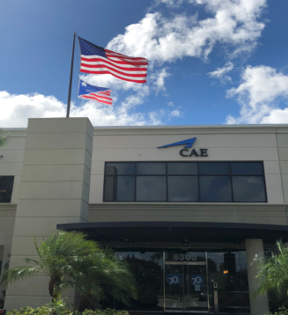 On August 15, 2018, our CAE Healthcare facility in Sarasota received one of the most prominent certifications for the Quality Management System: ISO 9001:2015. ISO 9001 is basically a quality management system that can be integrated into any business. It is focused on ensuring the business delivers a consistent level of quality to its customers by having well defined and regularly reviewed processes and procedures. The ISO 9001:2015 certification is a big deal for CAE Healthcare: in some parts of the world, being ISO 9001:2015 certified is a requirement to bid on tenders! In order to make this happen, we worked as a team and involved every aspect of our business. We needed a dedicated person to take this on from A to Z, someone who would not back down from a challenge, someone who I knew would be able to see this through: Dan Gitzler (our Group leader of Quality, Product Realization, Manufacturing, Support and Delivery) was that person! Dan became the driving force that led to this certification - he and his team put in the energy and effort required to implement the quality management system. Dan’s main mission in this certification process was to bring the quality of our products back on track by reducing the out-of-box failures and implementing rigorous processes. Dan’s understanding of the various departments he had already worked in (Engineering and Customer Support, for example) was very helpful for our expanded ISO 9001:2015 scope objective. Dan’s team was very dedicated to see this through. They all worked together and devoted long hours to prepare the entire division to “think quality”. As a team, it was also important to us to make sure the scope of our ISO 9001:2015 certification included every aspect of our business - from the Design phase of our products to the After Sales Support -which is not the case for other players in the Healthcare simulation market. We wanted our customers to know that every process directly or indirectly attached to our products were now certified. With this certification, we can now show the world that our products and processes are top of the line, which will definitely help us win more bids and become more competitive. The next steps for our quality team is to continue to make sure all our processes are documented and ensure we keep producing top quality products. The next big challenge for the team will be to look into pushing all our suppliers to be ISO 9001:2015 certified in order to keep up with our standards. I am confident we will be successful with this as well! This achievement was the culmination of a 3-year long endeavor to align our quality management system with the latest ISO 9001:2015 requirements. Naturally, we could not have succeeded without the commitment of every CAE Healthcare employee working unselfishly as part of a team to put our customers first and foster a culture dedicated to continuous improvement, innovation and the highest standards of quality.